Bij aanschaf van dit product krijgt u in totaal 6 Loyaliteit punten. Uw winkelwagen bevat een totaal aan 6 punten die omgezet kunnen worden in een waardebon van 0,60 €. Every 30 g portion delivers 25,5 g1,2,3 of proteins, which contribute to the growth and maintenance of muscle mass while strengthening bones – this makes it one of the most important nutrients, in particular for everyone doing long-term strength and/or endurance training*. In addition, the product has a low content of carbohydrates and fats, meeting the requirements of professional athletes and allowing you to build lean muscle mass. 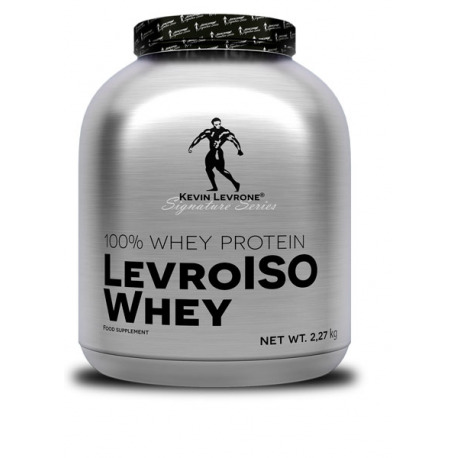 Developed by one of the sports most iconic and legendary athletes, Kevin Levrone, LevroIsoWhey is the optimal choice for those who partake in high-intensity exercise regimens. Leverage this powerhouse protein matrix blend from the Levrone Signature Series to get the most bang for your body building and sculpting buck*. 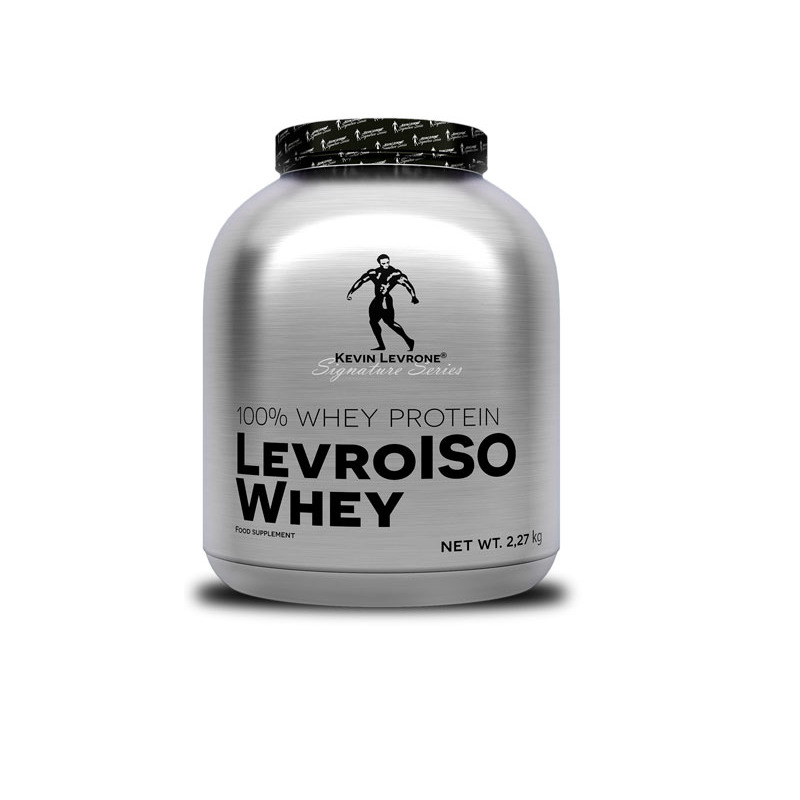 From seasoned athletes, professional bodybuilders, practitioners of mixed martial arts & extreme sports, to weekend warriors, and anyone interested in optimizing their athletic performance, LevroISOWhey is the protein supplement made for and used by all. Ingredients:1 Whey protein isolate (contains soy lecithin) Isolac®, flavourings, anti-caking agent (silicon dioxide), thickener (carboxymethylcellulose), sweetener (sucralose). Recommended use: Mix 1 scoop of powder (30 g) with 300 ml of water or skimmed milk. Drink before workout or immediately after workout. Warnings: With sweetener. Do not use if you are allergic to any of the product compounds. Contains milk and soya. Do not exceed the recommended daily dose. Food supplements should not be used as a substitute for a varied and well-balanced diet. A varied and balanced diet and a healthy lifestyle are recommended. Do not use if pregnant or nursing. Keep out of reach of young children. Store in dry and cool place. Protect from direct sunlight.